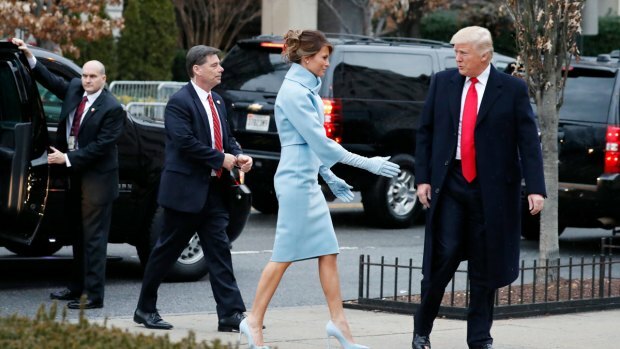 First lady to-be Melania Trump donned a powder blue Ralph Lauren dress on Inauguration Day, similar in style to those made famous by former first lady Jacqueline Kennedy. "It was important to us to uphold and celebrate the tradition of creating iconic American style for this moment," the Lauren corporation said in a statement. 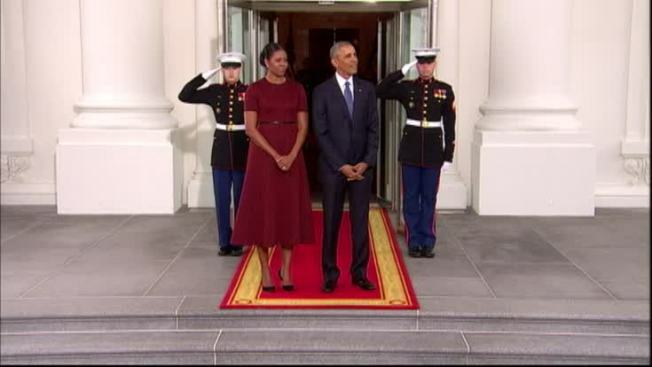 With her hair in a soft updo and wearing long, sky-blue suede gloves and matching stilettos, Mrs. Trump was greeted at the White House by President Barack Obama and first lady Michelle Obama, the latter in a deep red belted short-sleeved dress with black piping and a matching coat. 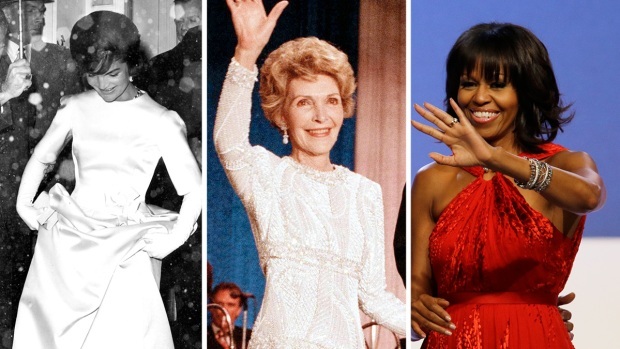 Her style drew praise on Twitter, with many comparing her outfit to Kennedy's. "Yasss to Melania Trump's blue inaugural dress!!! So Jackie O!!" wrote Michelle Beaman. Yasss to Melania Trump's blue inaugural dress!!! ��❤So Jackie O!! I don't know about you but I am in love with @MELANIATRUMP dress! The #babyblue and oh the #gloves! #classy I want to dress like that! Melania Trump channeling a Jackie Kennedy vibe for inauguration day thanks to @RalphLauren. Michelle Obama sported Ralph Lauren during her time as first lady, including during a 2011 dinner with Queen Elizabeth II in London, Us Magazine reported. President-elect Donald Trump and his wife Melania, accompanied by their Secret Service detail, arrives for a church service at St. John’s Episcopal Church across from the White House in Washington, Friday, Jan. 20, 2017, on Donald Trump's inauguration day.